Has your team worked on a game, device, or other item that you want to display at the Giant Jamboree? We would love to see it! An Exhibition Space will be available inside Hall D at the Hynes Convention Center. Spaces are limited, and priority will be given to Special Track teams (Art & Design, Hardware, Measurement, and Software). Application deadline: Friday October 13, 2017 11:59pm EDT. Please keep in mind that the materials on display need to follow the Jamboree Policies. iGEM has a strict ‘do not release’ policy ( http://2017.igem.org/Safety/Do_not_Release ). In addition to putting engineered or modified organisms into the environment or the body, it covers any products produced by engineered or modified organisms. Bringing engineered or modified organisms to the Jamboree is not permitted. Products of such organisms can be brought only with special permission from the Safety Committee. There are strict rules about moving engineered or modified organisms between countries, including detailing how they must be transported and labelled. 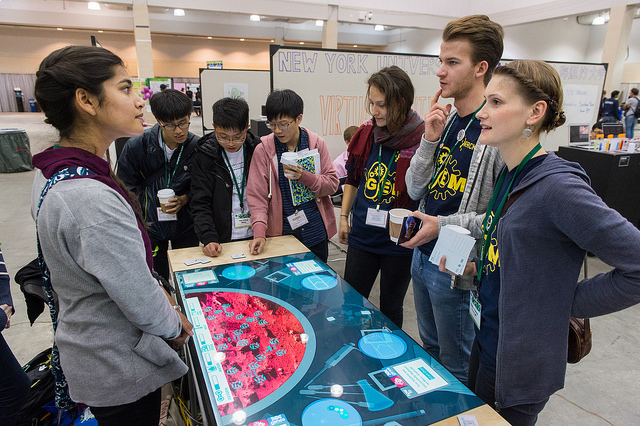 There are also rules about bringing them into the USA - so it is not just iGEM’s rules that you need to think about. Bringing to the Jamboree any equipment or materials that has come into contact with engineered or modified organisms is only permitted with permission from the Safety Committee. You will need to convince the Safety Committee that the decontamination or sterilization protocols you have used will ensure that there are NO engineered or modified organisms left on any equipment or materials. 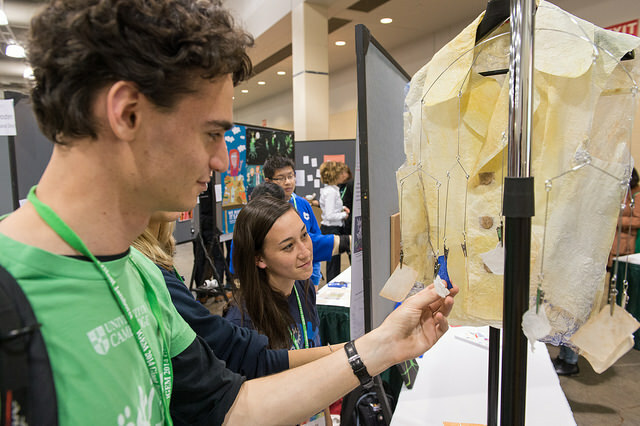 iGEM is adopting a standards-based approach. We are setting the goal: “There are NO engineered or modified organisms on my equipment or materials”. We are not telling you exactly how to accomplish this. In part, this is because the most effective protocol will depend upon the organisms, materials, or equipment involved. The most suitable approach will also depend upon your situation –your institutional rules, or national regulations, or the resources you can access. Making you think about how you will meet this goal (and prove to the Safety Committee that you have) will also help prevent human error. Has the equipment or materials come into contact with an engineered or modified organism? If YES, proceed to answer question 2. If NO, please tell us anything potentially harmful that the equipment or material has been in contact with (e.g. wildtype pathogens, chemicals, flammable materials, etc.). If your equipment or material has not been in contact with anything that may pose a hazard to people or the environment, please note this. What specific decontamination protocol will be used? Please provide as much detail as possible. In this context a validation of the protocol will prove that the disinfection or decontamination protocol works under the conditions in your lab, for your equipment, for your organism. That your Supervisor or PI confirms these details and that you are legally allowed to bring the equipment or material to the Jamboree (e.g. that it does not require an export license or is otherwise controlled or restricted. See for example the Control List of dual-use biological equipment and related technology and software.) This can be accomplished either by a separate email from your Supervisor, or by having the Supervisor submit the request and include a statement to this effect. An example of what a formal policy on cleaning medical and laboratory equipment, provided by the Association of Professionals in Infection Control and Epidemiology.